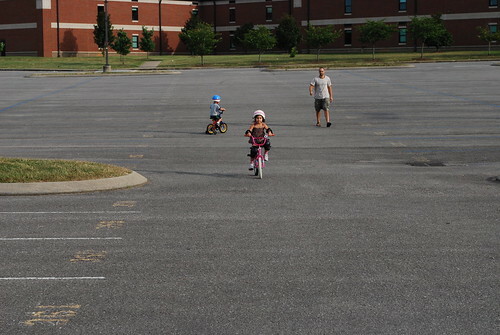 I actually got to witness the unassisted bike riding yesterday. 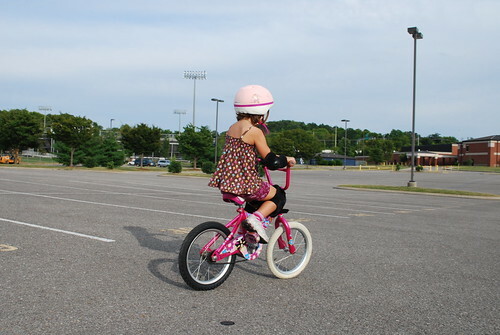 She still needs help getting started, but she is riding with no training wheels. Of course, instead of being excited she was frustrated that she could not do it completely by herself. 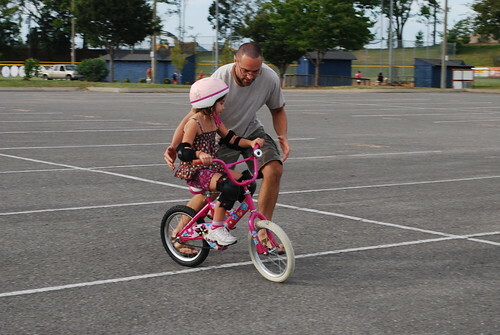 I had to remind her that this was only her second time even trying to ride the bike by herself. Patience is not her strong suit. 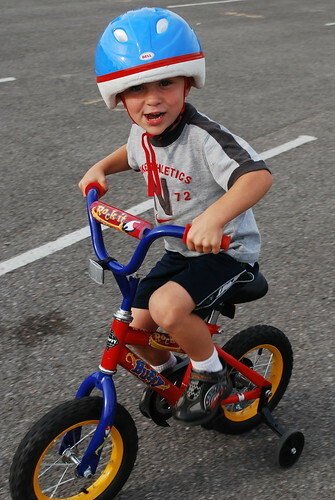 This little guy was lovin' all the open space of the parking lot. He zoomed around with no fear. Then when no one was watching him, the little stinker would fake a crash. He did this multiple times and I finally caught him in the act. Poor thing is starved for attention I guess. 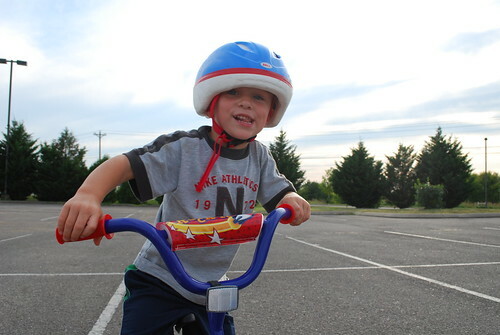 Or maybe we have a stunt man in training on our hands. 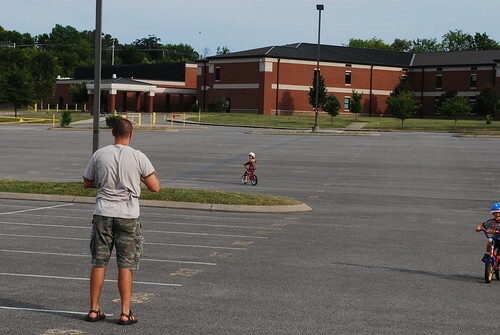 Who knew a high school parking lot could be so much fun? That's a really good idea. 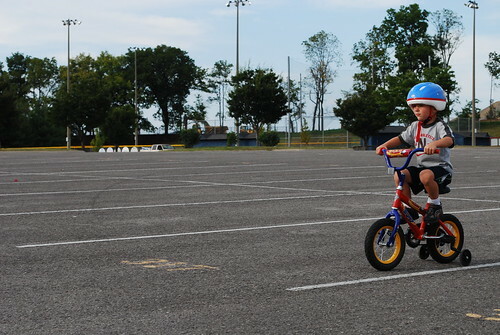 We're still in the training wheels stage for Sam and Lucy is still on a trike, but I bet they'd love all that open space. That is awesome. I love the fake crashing, too cute. Way to go! I think I need to take our kids to a big parking lot. That is the best place to zoom around. 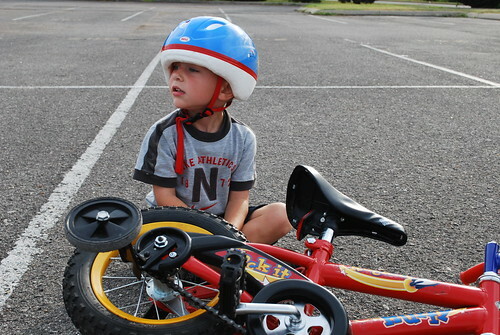 LOL about your little guy faking a crash. Ah kids! That is great for Harper! I can barely get Ella out of the garage. She tools around like a champ in the garage....but very hesitant even on the driveway. Go figure. I love Miller's "fake falls". :0) He doesnt look hurt at all!